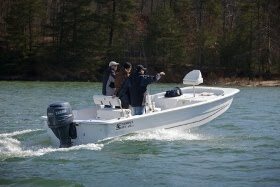 17' Carolina Skiff. Our names start with K P and B. Our last name starts with a J. Wanted something incorporated with our initials. We were also thinking bout Time's A Reelin'.